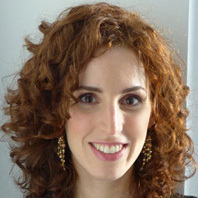 Elizabeth Green is cofounder and editor of Chalkbeat. Green, Elizabeth. "The continued rise of single-subject sites." Nieman Journalism Lab. Nieman Foundation for Journalism at Harvard, 19 Dec. 2013. Web. 23 Apr. 2019. Green, Elizabeth. "The continued rise of single-subject sites." Nieman Journalism Lab. Last modified December 19, 2013. Accessed April 23, 2019. https://www.niemanlab.org/2013/12/the-continued-rise-of-single-subject-sites/.